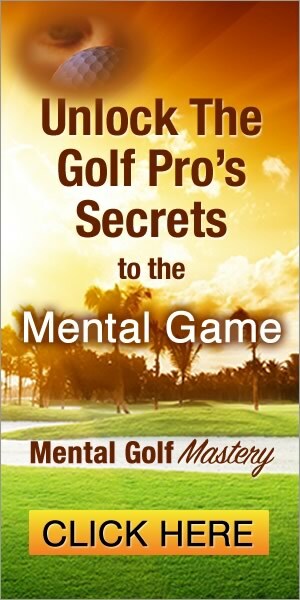 What do Lee Westwood, Ian Poulter, Adam Scott, and Fred Couples have in common?…You guessed it. They all play golf. Not only that, they all play impressive golf in spikeless golf shoes. If it’s good enough for them, why not for you? Companies are building performance shoes with the comfort of your everyday gym shoe, but the grip of a trusty spiked shoe. Extensive testing at MyGolfSpy headquarters only confirmed our growing suspicions. Spikeless shoes are a force to be reckoned with and their spiked older brothers should watch out. Whether you’re looking to buy a new spikeless shoe today, looking for some buying advice, or just want a closer look at what’s on the market right now, this guide will help you find the right spikeless shoe to fit your needs. We’re here to help you find the perfect spiked shoe for your needs. To do that, we employ a rigorous and fully independent testing process that leaves no sole unexplored, no arch unsupported, and no stone unturned. Shoes are tested head to head with rigorous protocols. Consideration is given to the design, comfort, and ultimately the performance of the shoe, both while walking and while swinging. The metrics we consider when rating golf shoes include Comfort, Traction, Stability, Resistance to the Elements, and Style. It’s important to understand that a significant portion of comfort comes from proper sizing. If you have a wide foot, you should absolutely gravitate to brands that offer wide sizing. The same is true for the narrow-footed among us. Every aspect of golf shoe performance begins with a proper fit. A golf shoe should be comfortable from the moment it goes on your foot. There shouldn’t be any rubbing or discomfort after just a few minutes of use. A quality golf shoe doesn’t require any significant break-in period. Simply put, under no circumstance should comfort be sacrificed. The last thing you want is to slip or spin out during your swing. Seldom is a quality golf shot preceded by a slip. 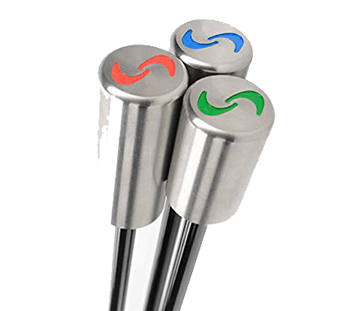 There is significant variation in the traction offered in spikeless designs. Shoes that are designed to go from the office to the golf course sometimes sacrifice traction for everyday functionality. While the versatility is convenient, it may not serve you well on the golf course, particularly when the course isn’t dry. While it’s not universally true, in general, spikeless designs tend to be less stable than traditional spikeless shoes. Some of that is by design, as early spikeless designs were intentionally unstructured to allow more freedom of movement within the shoe and increased comfort. As the spikeless shoe has gone mainstream, more traditional – i.e., stable – designs have emerged giving those who want it, options for greater stability. The most stable designs tend to look more like traditional golf shoes, and aren’t as well-suited for everyday wear. As with spiked designs, the level of stability necessary depends on the golfer, and it remains true that a shoe should never be so unstable that it allows the foot to spill over the edge of the footbed. EXPERT TIP – What Does Fit Really Mean? It cannot be overemphasized: Fit is the most critical element of golf shoe performance. As you likely know, sizing is often inconsistent from brand to brand and even from model to model. The length and width of supposedly same-sized shoes varies tremendously, as do other fit-related elements like the toe box, mid-foot section, and heel cup. You’re going to want to ensure that the shoe you buy is snug, yet comfortable and requires next to no breaking-in time. The PUMA IGNITE NXT offers three different closure styles (Disc, Soleace, lace). While each fits a bit differently, they all offer midfoot stability uniquely tailored to your footwear needs. The IGNITE NXT LACE (tested), features a traditional lace system for those who like to do things the old-fashioned way. The IGNITE foam sole is incredibly responsive making it an exceptional walking shoe. It’s so comfortable, you wouldn’t know it’s a golf shoe unless you know it’s a golf shoe. When playing your shot, you never want to be worrying about slipping or spinning out of the shot. Your swing is the star of the show, and it can’t perform its best when your feet are sliding out from under you. Your shoes are meant to be silent partners, supportive and reliable, not something you need to worry about letting you down. Choose a shoe that has your back, keeps you firmly planted, and supports you for an entire round. Not everyone needs the most stable golf shoe one can find. It’s worth doing some experimenting with different shoe designs to determine what level of stability works best for you based on how you load your swing. For those who do require more stability, look for designs with some form of “cage” technology in the mid-foot section to help keep you anchored in your shoe. While this type of construction has traditionally been reserved for spiked designs, as the market has moved towards spikeless, companies are beginning to incorporate stability-enhancing elements into their spikeless designs. BOA/DISC offerings are not as prevalent in spikeless designs. However, it remains true that, when offered, these systems secure the shoe, and ultimately your foot, differently than the laced alternative. If something doesn’t feel quite right in an otherwise comfortable shoe, it may be worth trying the BOA/DISC alternative when it’s offered. Note that these closure systems often increase the cost of the shoe. While style preferences will vary among golfers, comfort is an absolute. Make it your top priority and don’t sacrifice it for any reason. Even with spikeless designs, a healthy percentage of comfort comes from proper fitting. Take the time to have your foot measured to ensure you’re buying and wearing the proper size. You’re going to want some Mojo in your life after checking out the new Skechers Mojo Elite. They’re spikeless, they’re breathable, and Skecher’s legendary comfort doesn’t come at the expense of stability. Laugh if you like, but Skechers has become a force to be reckoned with in the spikeless category. Q: How much should I spend on a shoe? A: We’ve found that it’s possible to find a well-designed, fully featured golf shoes for around $80. That said, the majority of top performers, including our choice for Best Overall, are closer to $200. As with anything else, your rate of play should factor in the decision. 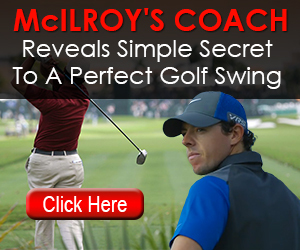 Golfers who play just a few times a year may be able to find a suitable option for less. Just don’t skimp on comfort to save a buck. Q: What is the main feature I should look out for when buying a spikeless shoe? A: Comfort is by far the most important factor, followed by traction. While stability is an important consideration, the level of stability needed varies between golfers. Only after you have those three considerations covered should style factor into the decision. Q: Is BOA/DISC technology better than laces? A: Use of BOA and DISC technology is less prevalent in spikeless designs, but some golfers prefer modern closure systems to traditional laces, but it’s certainly not a universal preference. Users of BOA and DISC report a tendency for their shoes to loosen throughout a round, and while that’s not a big deal to re-tighten, it can become an annoyance. Also consider that if a shoelace breaks, it’s easily replaceable, whereas warranty replacements for other closure systems can take some time. Read This Article Before Buying Them!